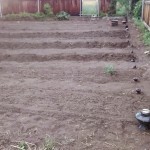 In between more rain that this county has had in over 40 years, we have planted the garden. 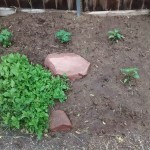 We had an explosion of weeds as well. 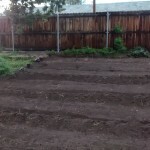 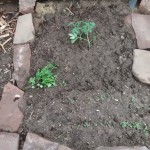 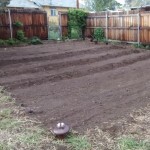 This weekend, we plan to finish weeding and plant the second round of spinach, carrots and radishes. 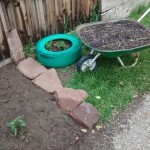 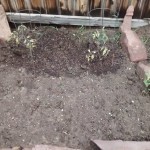 We added to the garden areas on the side of the house and added more tomatoes, peppers, cilantro and moved the mint tire. 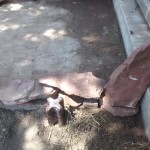 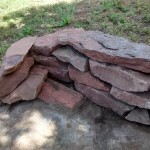 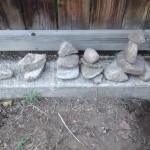 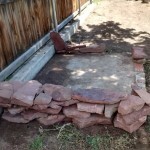 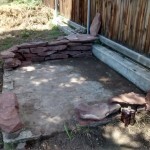 We used ceramic insulators as row markers and with the extra rocks, we built a fairy patio sitting area.